Nine-year-old Astghik Sargsyan lives with her mother and grandparents in Goris, Syunik Province. 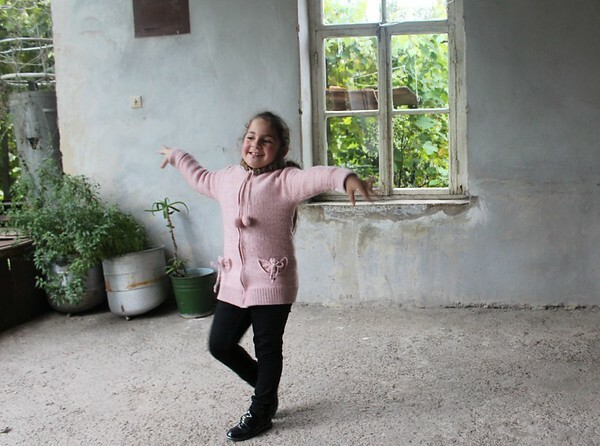 Cheerful and lively, Astghik is doing well at school and loves to dance. This year, Astghik was welcomed into the Children of Armenia Sponsorship Program (CASP) as one of its 83 new beneficiaries thanks to the enormous efforts of the Women’s Guild Central Council of the Eastern Diocese of the Armenian Apostolic Church. CASP helps orphans and children of single mothers with their living expenses through annual stipends. Today, 540 children from Tavush, Shirak and Syunik provinces, and Javakhk, receive support from this important project, which celebrated 20 years of operation in October. FAR staff carried out the most recent distribution last month with the support of local priests and municipal staff. Astghik’s father, Aramayis, died in a car accident in 2011 when Astghik was just two years old. He was a lieutenant in the army. Now, their family relies on the monthly $140 that Astghik’s grandfather, David, earns as a teacher at Goris State College, and the state allowance that’s given to children of single mothers. Astghik’s grandmother is also disabled. Astghik’s mother, Alisya, will use the CASP stipend to buy firewood to heat the house all winter, and to purchase some winter clothes for Astghik.